Friday March 28th; Café de Walrus. 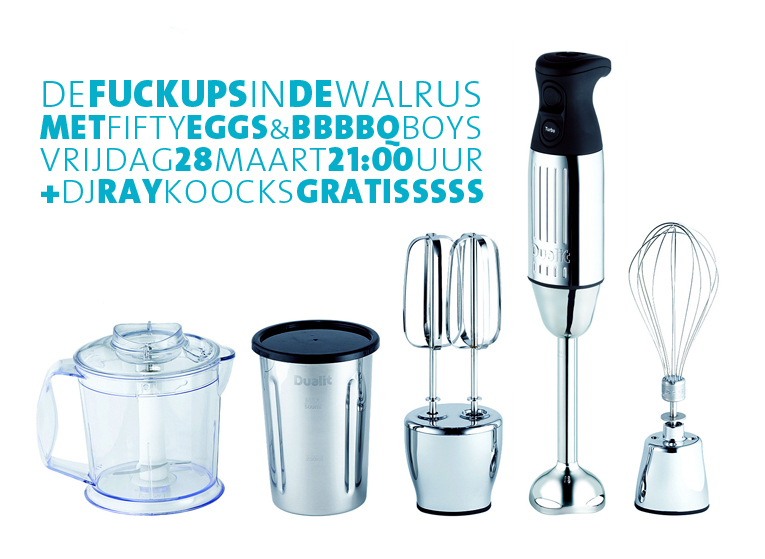 | de fuckups punkrock inc.
Friday March 28th; Café de Walrus. This entry was posted on 2014J18!14 Marchf13951442170000002014-03-18T12:03:37+00:00k000000p37 by de zanger zonder hoofdletters. It was filed under Geen categorie and was tagged with BBBBQ Boys, de fuckups, de walrus, DJ Ray Koocks, fifty eggs, Moulinex. as a focal point when creating a business model.